In this part of the install guide we will be deploying the vPostgress Virtual Appliance. 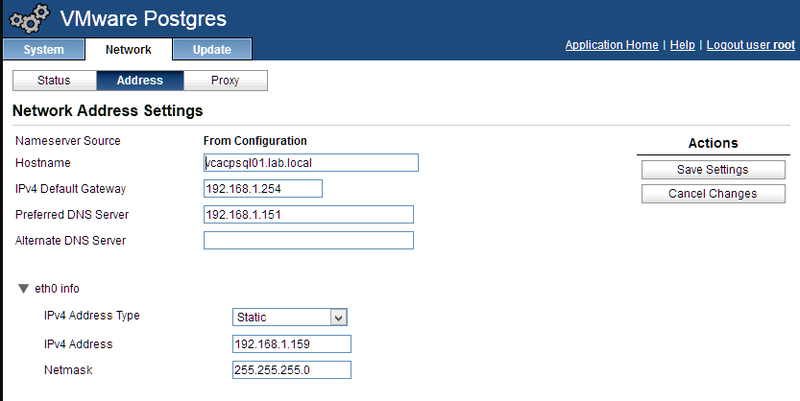 In a regular, simple, install of vCAC the vCAC appliance would be configured to use the embedded database. However, when scaling out or going Distributed you should use a desperate appliance for high availability and performance reasons. This is completely overkill for the lab but it is how I’d do it in ‘real life’ so I’m going to do it regardless. Step 1: Deploy the OVF file. 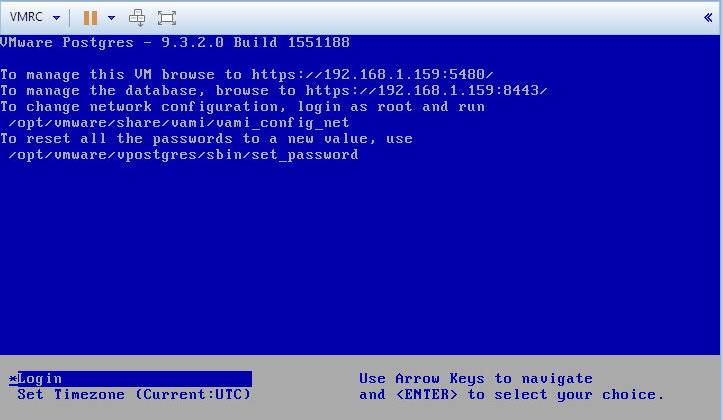 Log in to your vCenter Server via the Web Client (you don’t HAVE to use the web client but the good old c# client WILL be going soon so you might as well get used to it even though it’s a lot of unnecessary pain). Browse to the location of your OVF file (VMware-Postgres-appliance-9.3.2.0-1551188_OVF10.ova) and select Next. Under the Review Details windows you’ll have to tick the box accepting the Extra Configuration Options to be able to proceed. Click Next. Accept the usual EULA related stuff and Click Next. Now, name the appliance, place it in the host and folder of your choice and configure the networking. Be sure to change the IP addressing from DHCP to manual so you can assign it a static address. Also remember to go and add an entry in to DNS for the appliance. Finally you will have to set a password (do not lose this) and you’ll be able to see a summery of the information just before it is ready to deploy. Click finish and the VM will go off and deploy itself. Once deployed and turned on open a console to the appliance to check to see when it has completed it’s first time boot process and that everything configured has stuck (IP address). Now navigate to: https://vcacpsql01.lab.local:5480 (in my case, obviously) and log on using Username: root with Password: <defined in OVF setup>. The web interface now loads. In the system tab change the Timezone to be that relevant to you. Remember to click Save Settings. Now, head over to the tab and check that all the settings are correct and as intended. Amend and add if necessary and save your settings. 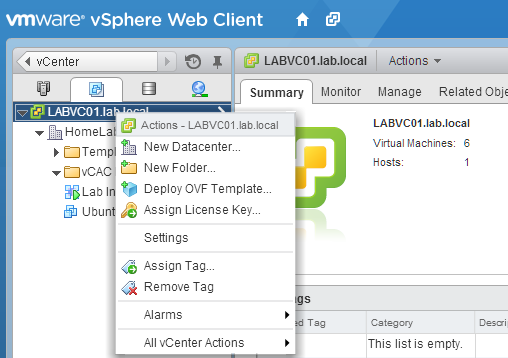 Exit the web interface and open up a VMware Remote Console to the PostgreSQL Appliance. Log on using root / <defined password> as before. We now need to prepare the database for vCAC. Enter the following commands in sequence to do this. Be aware that the console is using the ‘wrong’ keyboard layout if you are using a regular UK keyboard. If you’ve not used PSQL before pay special care to remember to include the ‘;’ at the end of each command line. You can now close the connection to the appliance. NOTE: At this point I recommend shutting down the PSQL appliance and taking a SNAPSHOT of it after this initial configuration. If anything goes wrong later this is a perfect point to have a snapshot.